From the beginning Stad in de Maak has been inspired by the German Mietshäuser Syndikat. 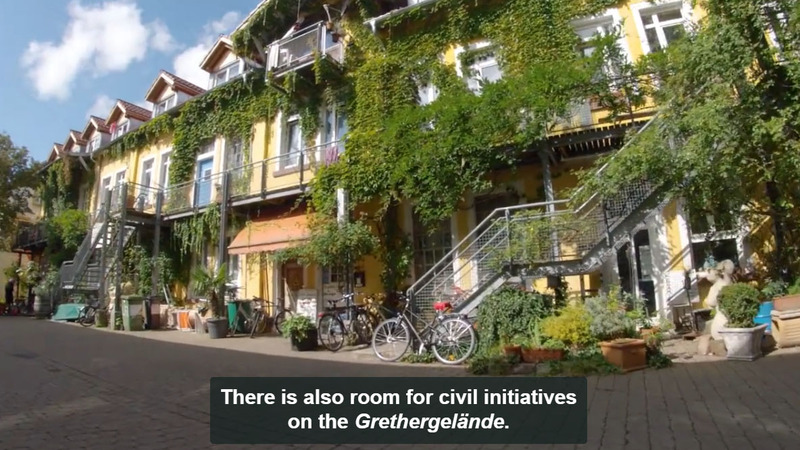 This organisation, grounded in the German squatter movement of the 1980’s, at present consists of about 120 different autonomous co-housing (and mixed use -working and -cultural) projects. Each of the projects is self-organized and largely autonomous in its day to day decision making. The buildings are collectively self-managed and owned by the people living there. They pay rent to their own coop. The rents are kept low, and not having any money is never reason for not being admitted. The ‘umbrella’ organisation Mietshauser Syndikat has a share in all the individual projects and can veto major systemic decisions, most notably the sale of the property. Because of this structure, the projects are in effect taken off the (speculative) market. Besides that, the Syndikat offers know-how to new co-housing projects. Know-how that was gathered over time in the more than 100 self-built and managed projects. Since the older projects have paid off their loans, but keep on paying rent, the Syndikat, or the individual members, can now also offer financial aid in starting new projects. Thus the principles of self-organisation and management, of solidarity and of non-speculative, affordable housing for all have been firmly embedded in all the groups that together make up de Syndicat. For a couple of years several groups in the Netherlands have talked about starting our own Syndicat. This has been achieved this year by starting de vereniging (union) VrijCoop. Stad in de Maak is one of the founding members. A direct copy of the German model proved not possible because of different legal systems. But we managed to stay very close to our inspiration. Several projects are about to start, EcoVillage Boekel probably being the first. At Stad in de Maak we have been trying several times to bid on derelict buildings in order to escape the temporality of our current houses. Having been severely outbid by the ‘market’ on these occasions, we still have good hope that we will succeed soon.